It was a trip I had always wanted to take: the legendary journey along the Trans Siberian Railway. The whole idea of the project had been to meet people on the train and make intimate stories from the train compartments. But riding this ghost-train, I had to change the concept. 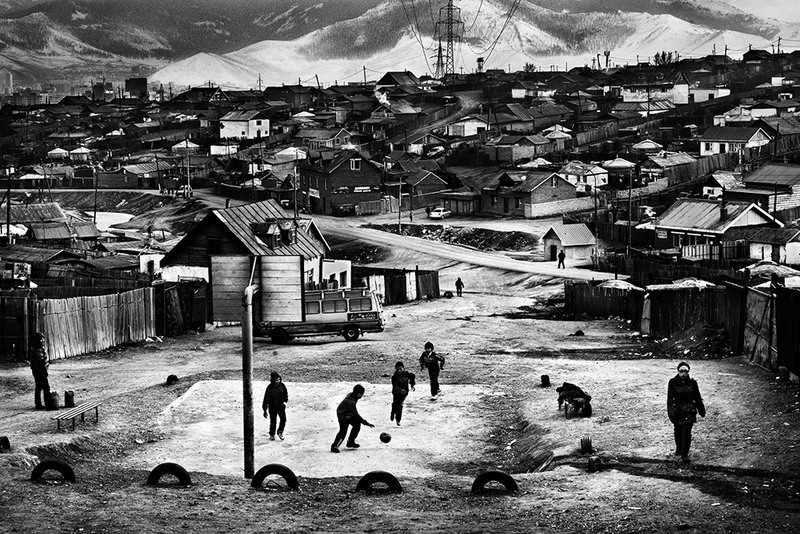 The intimate work had to come from my encounters with people in the cities and the train became the red thread connecting Moscow, Ulaanbaatar and Beijing. I had the greatest experience in Mongolia, when I ran into a group of Mongolian hunters who invited me to join them on a trip through the mountains that surround Ulaanbaatar. I immediately felt like putting the camera on a shelf and picking up the rifle. Every time I start a new project, I start shooting in color. If I can’t emotionally connect with my images, they mean nothing to me, and so I always return to black&white. I feel my images are able to create their own universe. I admire all the people I take pictures of because they put themselves in a very vulnerable position. They trust me, and it is important for me that there’s a mutual understanding of this. 36 photos are printed on Canson Platine Rag 310 paper, assembled on Dibond. 26 meters minimum required linear space.